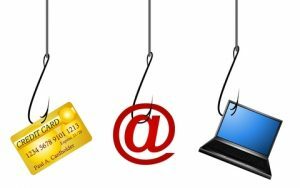 Phishing attacks are more rampant than ever before, rising by more than 162 percent from 2010 to 2014. They cost organizations around the globe $4.5 billion every year and over half of internet users get at least one phishing email per day. The best defense companies have against phishing attacks is to block malicious emails before they reach customers with the DMARC (Domain-based Message Authentication Reporting and Conformance) standard. Brands must also work with a vendor that can offer email threat intelligence data revealing attacks beyond DMARC (e.g., attacks that spoof their brand using domains outside of the company’s control). Unfortunately, no matter what companies do, some phishing emails will always make it to the inbox. And those messages are extremely effective—97% of people around the globe cannot identify a sophisticated phishing email. That’s where customer education comes in. Here are 10 tips on how to identify a phishing or spoofing email. Share them externally with your customers and internally with your company. A favorite phishing tactic among cybercriminals is to spoof the display name of an email. Return Path analyzed more than 760,000 email threats targeting 40 of the world’s largest brands and found that nearly half of all email threats spoofed the brand in the display name. Since My Bank doesn’t own the domain “secure.com,” DMARC will not block this email on My Bank’s behalf, even if My Bank has set their DMARC policy for mybank.com to reject messages that fail to authenticate. This fraudulent email, once delivered, appears legitimate because most user inboxes only present the display name. Don’t trust the display name. Check the email address in the header from—if looks suspicious, don’t open the email. Hover your mouse over any links embedded in the body of the email. If the link address looks weird, don’t click on it. If you want to test the link, open a new window and type in website address directly rather than clicking on the link from unsolicited emails. Legitimate banks and most other companies will never ask for personal credentials via email. Don’t give them up. Lack of details about the signer or how you can contact a company strongly suggests a phish. Legitimate businesses always provide contact details. Fraudsters not only spoof brands in the display name, but also spoof brands in the header from email address. Return Path found that nearly 30% of more than 760,000 email threats spoofed brands somewhere in the header from email address with more than two thirds spoofing the brand in the email domain alone. Phishers are extremely good at what they do. Just because an email has convincing brand logos, language, and a seemingly valid email address, does not mean that it’s legitimate. Be skeptical when it comes to your email messages—if it looks even remotely suspicious, don’t open it. A managed services provider (MSP) is most often an information technology (IT) services provider that manages and assumes responsibility for providing a defined set of services to its clients either proactively or as the MSP (not the client) determines that services are needed. Most MSPs bill an upfront setup or transition fee and an ongoing flat or near-fixed monthly fee, which benefits clients by providing them with predictable IT support costs. As organisations face significant challenges in scaling and managing their global Information Technology infrastructure while effectively reducing costs, it becomes much more cost effective to gain access to best in class tool sets, hardware, software and even niche technology experts by only paying for what they use by using managed service providers. Simply put, a Managed Service Provider is contracted to manage your network and IT infrastructure. This management may include servers, workstations, IT Budget, cloud services, data backup, disaster recovery and email solutions. 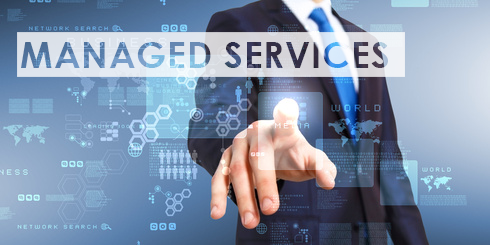 Service First allows customizations of its services and management options. Service First is a proudly Canadian, world class managed services provider. Whether your network is 10 computers right next door, or a thousand computers 3000 miles away we have the experience to manage it effectively, efficiently and securely. Service First ...Total Solutions is not your typical IT business. We don't have a "One size fits all" solution. Instead, we prefer to meet and discuss your business and your needs and then develop a solution that works best for you. We firmly believe that no business can specialize in everything (especially in the field of IT). It is for this reason that rather than employees, Service First relies on specialized associates. These associates are partners of ours - some have similar skills while others have vastly different skills. Besides windows network management, we offer custom web design and programming, app development, and Sage Accpac solutions. Although we are physically located in the Fraser Valley, we service clients all over BC, Alberta, Manitoba, Saskatchewan, and Ontario and have international clients in the UK as well as Tasmania!